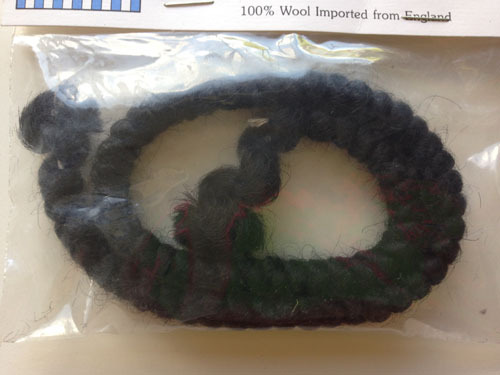 There is 15 inches of curly roving in black. Roving unbraids to approximately 48 inches in length. It is 100% wool imported from England. Use it for craft purposes such as doll hair, beards and such.